We are involved in manufacturing, supplying, distributing and wholesaling of a remarkable gamut of Facial Cleansers. Our professionals manufactured these beauty products with natural ingredients. These cleansers are used to get a young, fresh and glowing skin and are highly effective for women of all age groups. To ensure their effectiveness, each product is stringently tested by our diligent quality auditors on varied parameters. Our range includes Gold Cleanser, Fruit Facial Cleansers, Diamond Facial Cleansers and Chocolate Facial Cleanser. 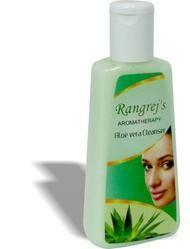 We have been counted amongst the most trusted names in this domain, engaged in providingAloe Vera Facial Cleanser. Our firm is ranked amongst the reputed names in the market for offering an extensive range ofFruit Facial Cleanser. 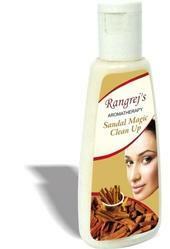 Glint Smooth & Silky Sandal Magic Clean Upis a natural astringent & skin tonic that gives the face a soft & smooth touch. We are a remarkable entity, engaged in manufacturing superior quality Aroma Deep Pore Milk, which is skin-friendly.